Homer called it 'liquid gold.' In ancient Greece, athletes ritually rubbed it all over their body. Its mystical glow illuminated history. Olive oil has been more than mere food to the peoples of the Mediterranean- it has been medicinal, magical, an endless source of fascination and wonder and the fountain of great wealth and power. Our ancestors used it as antidote against poisons and later on as medicine to cure arthritis, rheumatism and gout. Athletes smeared olive oil over their bodies to strengthen their muscles and women used olive oil as skin moisturiser. It was also used as a weapon when boiling oil was thrown at enemies in times of conflict despite the fact that olive oil had always been regarded as a sign of peace. Its branches, emblems of benediction and purification, were ritually offered to deities and powerful figures- some were even found in Tutankhamen’s tomb. The olive tree, symbol of abundance, glory and peace, gave its leafy branches to crown the victorious in friendly games and bloody war, and the oil of its fruit has anointed the noblest of heads throughout history. Umbria is one of Italy’s smallest regions, and it's very well known for its olive oil production. Some of the finest olive Oil is derived from olives grown in the Umbria region of Italy. Even as far back as Roman times, Umbrian olives were considered the best in Italy. 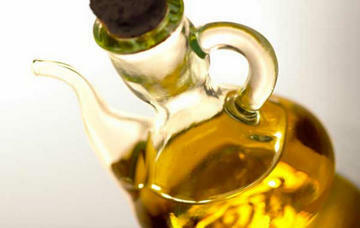 Nowadays, Umbrian olive oil stands out due to its flavour, digestible qualities and nutritional values. The trees producing this olive are cultivated on the Umbrian hills. Here they are unreachable by the insects that damage crops and so the plants have usually no need for any chemical treatment. The trees are not sprayed with chemicals, pesticides, or fungicides and olive oil is a labor of love, tradition, and passion. The most prominent olive trees that blanket Umbria are the Moraiolo, Leccino, San Felice, Frantoio and Pendolino. The olive trees are fed exclusively by the natural elements. The cold press method used is known as the ‘ciclo continuo’, a new procedure that avoids oxidation or deterioration to the oil. It is only after this process that a very low acidity olive oil is obtained – which of course means the purest, cleanest taste. Olive oil which is completely pure and unadulterated and it's the result of Umbrian tradition of generations who have worked with passion to satisfy the demand. Regarding the classification of olive oil, Italy follows the European regulations, which call for and describe nine types of oil, of which only four can be placed on the retail market for consumption. Virgin olive oil is classified as oil obtained from the fruit of olives using only mechanical or other physical processes and under conditions – with particular reference to heat- that does not cause any alterations of the oil, and which has not undergone any treatment other than washing, settling, centrifuging and filtering, and excluding oil obtained using solvents or re-etherification processes and any mixtures with oils of other types. Extra virgin olive oil: olive oil with an absolutely perfect taste and the acidity of which, expressed as oleic acid, may not exceed 1g (0.035 ounces) per 100g (3.5 ounces). Virgin olive oil (the term “fine” may be used at the production and wholesale stages): virgin olive oil with a perfect taste and the acidity of which, expressed as oleic acid, may not exceed 2g (.07ounces) per 100g (3.5 ounces). Lampante olive oil: imperfect-tasting virgin olive oil, the acidity of which, expressed as oleic acid, exceeds 3.3g (.116 ounces)per 100g (3.5 ounces). Pure: with a more modest flavour, colour and style, this is the oil to use if you don’t want the flavour of the oil to overpower a dish. Semi-Fine: this oil is a blend of virgin and extra-virgin olive oils. Its acidity is measured at 3% per 100ml of oil. Virgin: with a flavour which is slightly less conspicuous than extra virgin olive oil and with a slightly higher acidity of 1.5% - 2%. Extra Virgin: the highest grade attainable for an olive oil having an acidity level of less than 1%. This is the most popular and renowned olive oil in Italy. Umbrian hillside olive trees produce an olive oil considered more delicate than the one made in Tuscany. Old lady leaning out of window! Restoring luxury property in Umbria, grand idea!